Apple today announced a new programming language called Swift at WWDC, which will replace Objective C as the language developers use for building iOS and OS X apps. Federighi confirmed that Swift code and C can live in the same app together, too, so developers can upgrade their code as they go, rather than replacing it in one go. 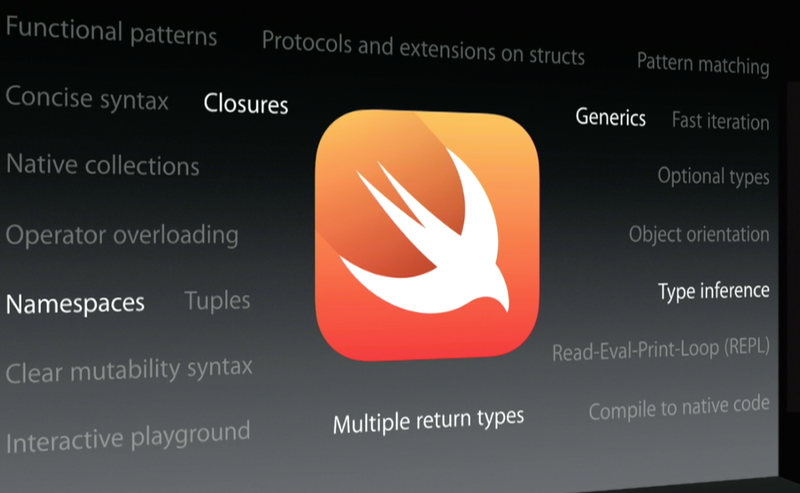 There are a number of changes from Objective C, some of which are detailed in the slides below, but Apple demoed just how much less code developers will need to write to get Swift applications up and running. 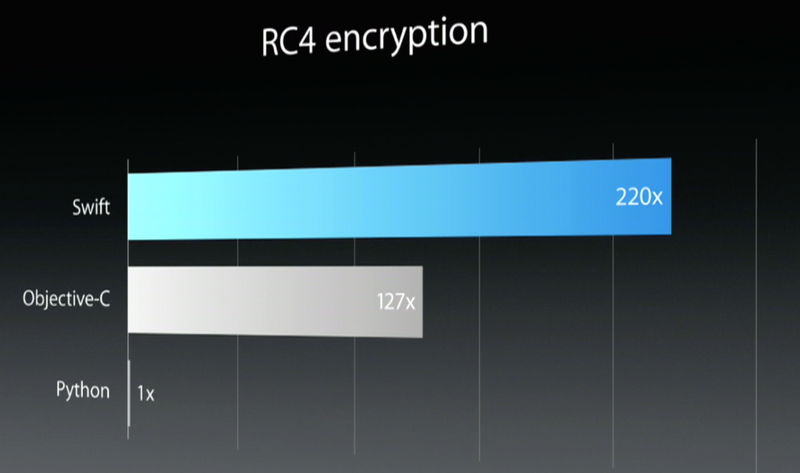 The company says that Swift apps are significantly faster than Objective-C apps, outperforming them by over 93x. Apple said that Swift applications can be submitted to the App Store from day one. When Apple announced Swift at WWDC, it got the largest cheer out of the developer audience than any other single feature. Apple has published an eBook on Swift, which can be downloaded for free, here.